MO Division Spotlight – March 2018 | F.F.A.M. 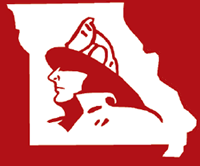 Matthew Luetkemeyer, the Statewide Fire Mutual Aid Coordinator for the Division of Fire Safety has served in the fire service for the last twenty-eight years, but not always in Missouri. From humble beginnings, following in his father’s and grandfather’s footsteps, Matt started out as a volunteer firefighter in Warrenton in 1990 as a junior firefighter. 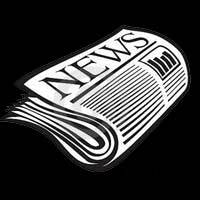 At the same time, he was a cadet member of the Wentzville Composite Squadron of the Civil Air Patrol. 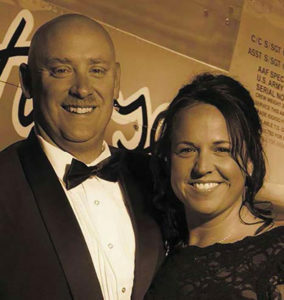 Upon graduation from high school in 1992, Matt combined his passion for the fire service with his interest in aviation and military studies, and enlisted in the United States Air Force as a firefighter. After completing basic military training and graduating from the Department of Defense Fire Academy, Matt was assigned to Whiteman AFB, in Missouri. He worked his way up through the ranks from the tail board to crew chief, with temporary duty assignments in the Middle East and Central America. In 1996, Matt left active duty to serve in the Air Force Reserves and then on to the Missouri Air National Guard. While serving part time as a firefighter, and still as a volunteer in Warrenton, Matt worked as a dispatcher for Warren County Joint Communications. This led to a position with the Missouri State Highway Patrol as a tele-communicator at Troop C in St. Louis. During this time, Matt met his wife, Betsy, and now son, Wesley. In 2000, Matt and Betsy made the decision to return to active duty in the Air Force and were given a direct duty assignment to the Fire Department at Charleston AFB, SC. 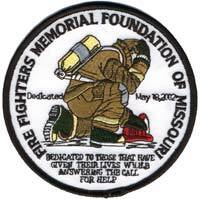 After Charleston, they then continued their military journey, being assigned to fire departments at Eielson AFB, Alaska, where they welcomed the birth of their son, Jacob. Then on to Daegu AB, Republic of South Korea, and Minot AFB, North Dakota, where they welcomed the birth of their daughter, Magdalene. They then went to RAF Mildenhall, England, and then back to Minot, North Dakota, where Matt retired in 2016 with twenty-four years of service. Over the years, Matt has held duty positions throughout the spectrum of the fire service to include Firefighter, Driver/Operator, Crew Chief, Logistics Officer, Station Chief/Captain, Fire Inspector, Assistant Chief of Health and Safety, Assistant Chief of Operations, and Assistant Chief of Training. Other duties have included Contracting Officer Representative and Inspector over War Reserve Material maintenance contracts, U.S. Customs Inspector, Unit Safety Representative, and Unit Deployment Manager. Deployments and temporary assignments have included duties in the United Arab Emirates, Honduras, Qatar, Okinawa, Germany, and Iraq. After retiring from military service, Matt, Betsy, and their children returned to Missouri to settle down and establish a permanent home. Upon their return to Missouri, Matt and his family settled in to Columbia where they started the search for their new careers. Matt found his way to the Division of Fire Safety and secured the position as the Statewide Fire Mutual Aid Coordinator, where he quickly established a rapport with fire departments all over the state. 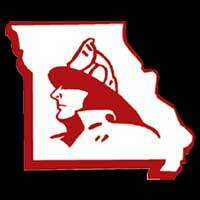 Through the coordination of resources over several emergencies, along with the assistance of the nine Regional Fire Mutual Aid Coordinators and the command staff from departments far and wide, he has quickly gained a foothold within the fire service here in Missouri. Above and beyond his Mutual Aid duties, he oversees the NFIRS reporting as the State NFIRS Program Manager for the U.S. Fire Administration. 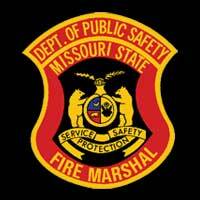 As well as maintaining the Fire Department Registration process, Radio Frequency Sharing Agreements with the Division of Fire Safety, the Division’s Donated Equipment Program, the Missouri Volunteer Fire Service Program, and he has been an integral part of the new Missouri Firefighter Veterans’ Initiative. He also fields questions from not only the fire service, but also citizens from around the state in regards to burn bans, fire department activities and requirements, fire reports, and other related topics. Matt has also established communications, and worked on projects with the Statewide Mutual Aid Coordinators for Law Enforcement and Emergency Medical Services, the Missouri State Highway Patrol, the U.S. Forest Service, the Missouri Department of Conservation, and Department of Defense partners, from both active duty and the National Guard from around the state. Matt has been a valuable and dedicated member of the team in the Division and plans to be for a very long time. Betsy has established her new career as an employee of the State of Missouri as well. Initially working for the Department of Health and Senior Services, she now works for the Department of Social Services as an Administrative Office Assistant. Wesley, 23, works for a non-profit organization in Columbia, and Jake, 14, and Maggie, 8, are both attending school. Together, they have enjoyed being back home close to family and enjoy the outdoors of Missouri by camping, hiking, and ATV riding whenever they get the chance. They are all glad to be a part of the community and look forward to continuing their service to the State of Missouri for many years.